The mental picture of Freddie Spencer standing in aloof silence with his arms folded, facing up to an irately gesticulating Cal Crutchlow, will linger long in the mind. That at least was how Crutchlow described what happened after the Argentine GP, and it is easy to imagine. 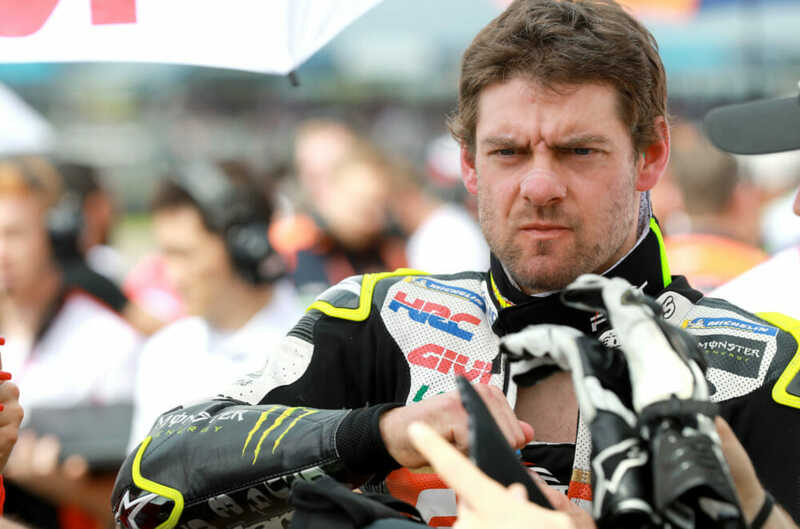 Crutchlow is one of those people who does irate pretty comprehensively. And Freddie is well practiced at being impassive. It’s the unstoppable force meeting the immovable object, all over again. In the unlikely event that you haven’t seen the video of Crutchlow supposedly jumping the start, for which he was hit with the standard, one-size-fits-all ride-through penalty, let me explain. The 2018 winner was poised on his factory LCR Honda, eyes on the lights, clutch to the bar, revs on the limiter. A split second before the start, his bike moves forward—less than an inch, the front wheel just about touching the beginning of the white line marking his grid slot. His explanation made perfect sense. Rather than trying to gain an unfair advantage, he was just anticipating the moment, moving from the balls of his feet onto his toes. His entirely reasonable hopes of a possible podium ended right there, and the fuse to his always impressive temper was lit. By the time he got upstairs after charging through from last to 13th, at the back of the points, setting second-fastest lap on the way, he was incandescent. Most notably so because it was Spencer who was in charge of the punishment crew. When the riders had asked that the newly independent chairman of the stewards (relieving the race director of this role) should be somebody with a personal understanding of racing, there could hardly have been a better candidate. Or so it seemed. Analysis of Crutchlow’s lap times showed he lost more than 26 seconds taking the ride-through; take that interval away from his race time and he would have easily come second, in between Marquez and Rossi. He certainly has a point. Is it right that a little inadvertent infringement should attract such a severe penalty? On the same afternoon, in Moto2, Brad Binder was finally punished for one aggressive move too many. He’d been riding like that, rather uncharacteristically stealing inside lines and pushing people wide, since Friday. In the race, he left tire marks and Red Bull KTM paint on both Luca Marini and Marcel Schrotter, punting the latter almost off the track. Citing “multiple infractions,” Binder was dropped one place to sixth; erstwhile leader Schrotter took over fifth. Crutchlow’s move not only gave no advantage, nor did it (in the official wording) “cause danger to another rider.” But he was dropped 11 places. Now there might be a school of thought that rules are rules, that any laxity in interpreting them is a slippery slope. Crutchlow moved, the rules are clear, he must have a ride through. Otherwise, all the other riders will be going on tip-toe willy nilly. And then where will we be? This is a decision that could be made by a computer. No need for a panel of stewards; no need for a chairman. Artificial Intelligence is plenty bright enough to take over. Spencer can go back to his vlogging, Crutchlow can go back to pit lane. Job done. But surely having a steward and a panel and an experienced and respected chairman of that panel is precisely to avoid this. The purpose of judges it to make judgments, not to enforce disproportionate penalties. Spencer is a legendary and always a clean and fair rider, as well as astoundingly fast. This is his first year in his new role. Maybe he’s trying to make an early impression, like a hanging judge. The outcome, however, suggests that, inadvertently or not, he is perpetuating the long-held riders’ view that racing punishments are meted out in a highly erratic and even whimsical fashion, and are frequently grossly unfair. Spencer’s riding record and gentlemanly demeanor deserve better than such condemnation. Let’s hope he and his cohorts manage to avoid it from here on in.